This week I met a new client who has a beautiful existing organic herb garden. She has a lovely piece of property in an ecological riparian zone: the edge between the forest and some wetlands. This brings her lots of wildlife. She is open to habitat friendly gardening methods, which included leaving this gorgeous aromatic Clary Sage up all winter. (This gives birds shelter and possibly food. Butterflies love it for propagation as well.) Now it’s spring and the new growth has started so we cut this wealth away- leaving me with several pounds of beautiful material of the Garden’s bounty. This is one of the nicest perks of my work: at intermittent times of the seasons I have an abundance of a rainbow’s spectrum of different organic herbs, fruits, vegetables, plant starter shoots, flowers, seeds, and many other gifts of nature’s generosity. There’s always too much for just me. 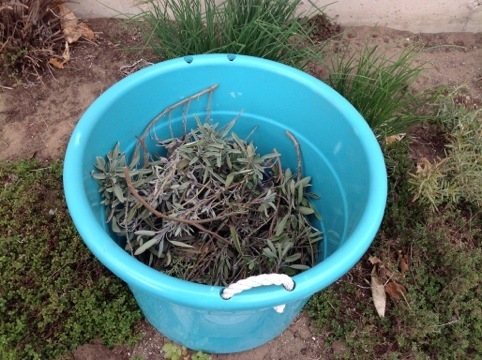 If you would like some of this Sage delivered to you- in person locally or in the mail, please leave a comment below this blogpost. First three comments are guaranteed winners. And Kimberley Francis of Local Grain Artisan Wood Designs in Chilliwack, BC is a shoo-in for being the inspiration for this contest!